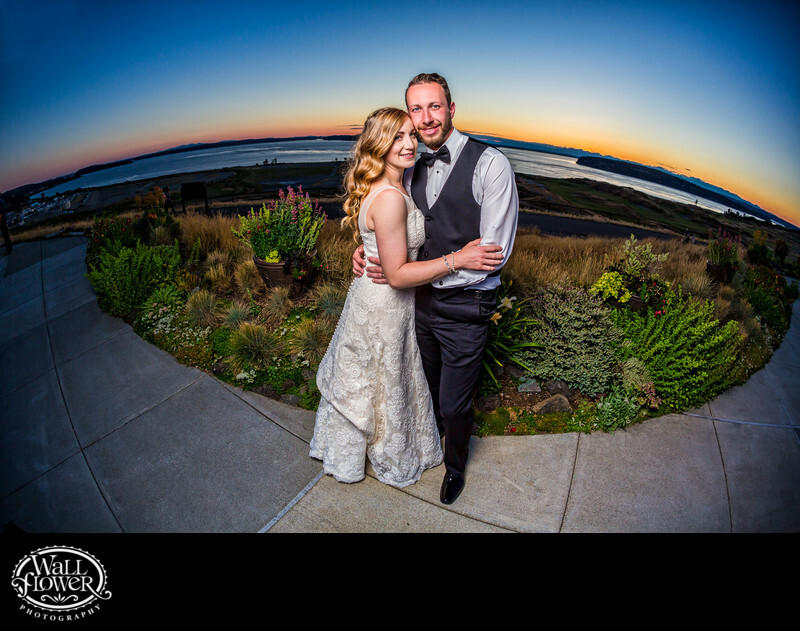 Standing on the patio of the Chambers Bay Golf Course in University Place, Washington, I shot this bride and groom portrait at sunset, or really a little past sunset, with my trusty fisheye lens. That's how it got that crazy curvature of the horizon that makes it look like these newlyweds are standing on top of the world. A nice blast of off-camera lighting gave the bride and groom some good illumination that allowed me to get so much color and detail in the sunset behind them. With this view, Chambers Bay is one of the top sunset wedding venues in the state.